Discussions Magazine Music Blog: Those Awesome OSMONDS! SPAZ reviews their catalog on 7Ts/Cherry Red! 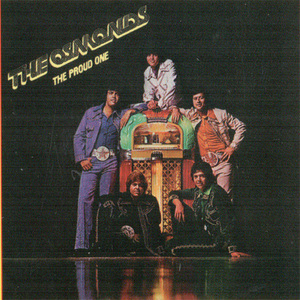 Those Awesome OSMONDS! SPAZ reviews their catalog on 7Ts/Cherry Red! 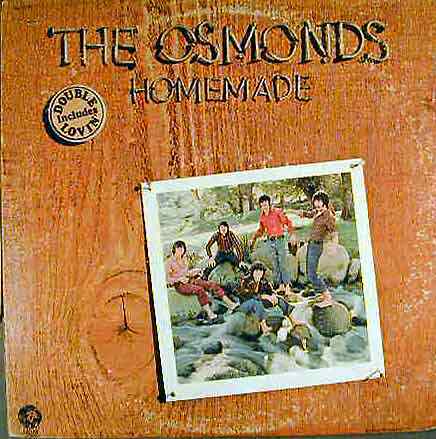 In the past, The Osmonds' recorded output has been poorly represented by a slew of collections. Thankfully, 7Ts/Cherry Red Records has rectified this situation by releasing the band's eight albums on four separate 2fers. They are available NOW! 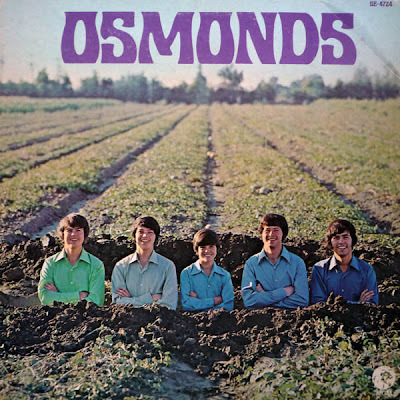 Regardless of what you may think of The Osmonds' music, they were (and are) a cultural phenomenon. 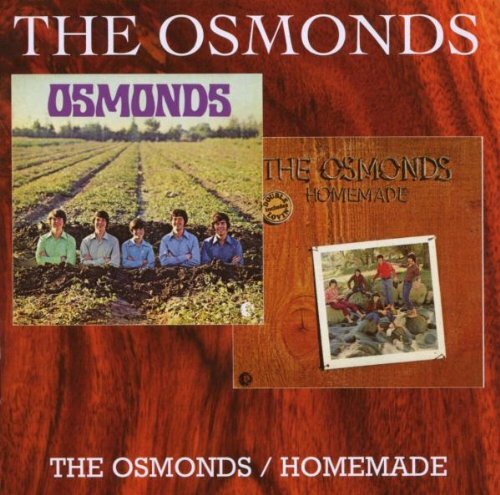 Even if you can't remember all the lyrics, chances are you can name at least one Osmonds song off the top of your head right now. And "I'm A Little Bit Country, I'm A Little Bit Rock 'n' Roll" only partially counts (that was a Donny & Marie song, not a bonafide Osmonds recording). It's been over 30 years since their heyday, yet they have become part of Pop music history. 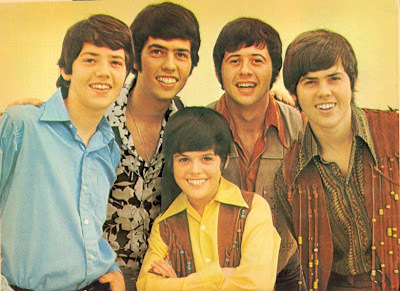 NOTE: Since Donny was being groomed for solo success, most of the lead vocals on The Osmonds' albums were handled by Merrill, although all the brothers were involved in backing vocals, co-lead vocals and arrangements. 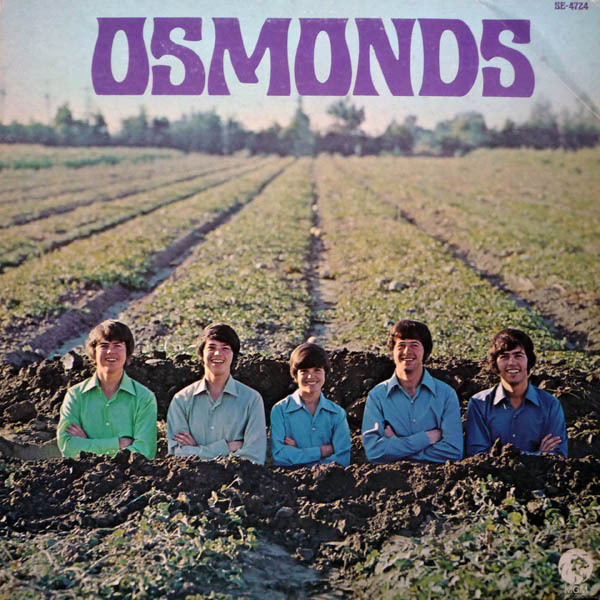 The various solo albums from Donny, Jimmy and Donny & Marie are also available through 7Ts/Cherry Red but this feature focuses on the original Osmonds albums of the '70s. 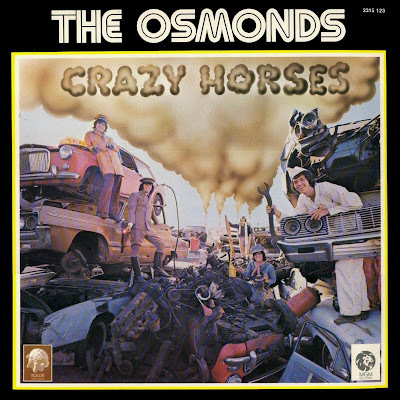 Crazy Horses was the first truly great Osmonds album and remains one of the finest Pop/Rock albums of the early '70s, although you probably won't find it on many critics' lists, then or now. From the opening Rock strut of "Hold Her Tight" to the CCR-like groove of "Utah", the solo McCartney-esque "Girl" and the legendary Hard Rock crunch of the title track, Crazy Horses is one hell of an album. 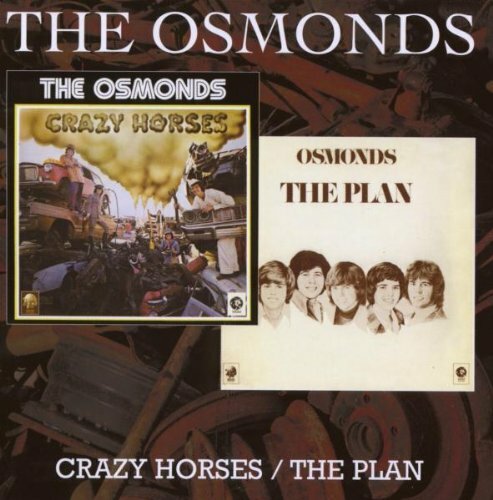 It's such a shame that the band were already pegged as a teeny bopper band because Phase III and Crazy Horses proved that they were so much more than that. "What Could It Be" could have been a Hudson Brothers hit ala "So You Are A Star". The bluesy rock of "Life Is Hard Without Goodbyes" is actually quite beautiful with Merrill's passionate vocals. The whole album rocks from beginning to end. In fact, the band adds a snippet of "One Bad Apple" into "Big Finish" in order to remind you that this is the very same band. If anything, this is the album that the teenage girl would have been able to share with her brother or boyfriend without them feeling embarrassed. 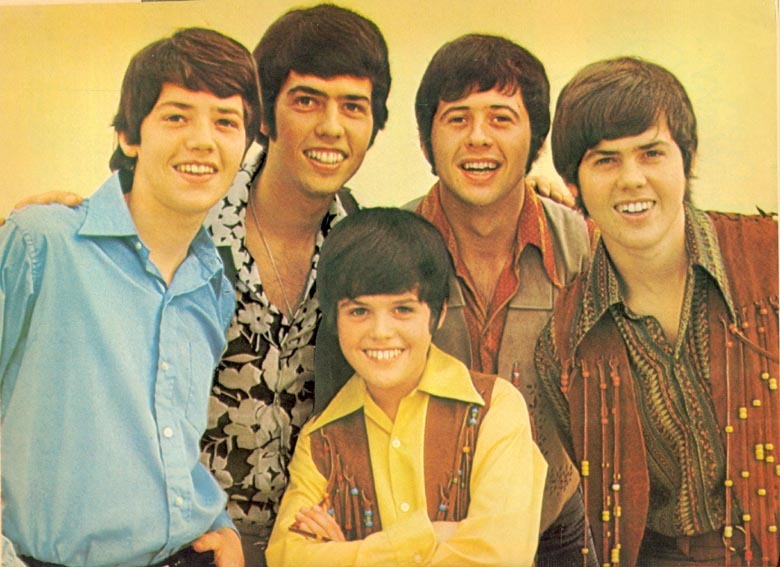 But then again, I have never felt embarrassed about loving The Osmonds! And if you want to hear what you've been purposely missing for 40 years, then give this one a spin! Crazy Horses is not just a great Osmonds album, it's a great album period! The Osmonds had gone from strength to strength, building up a catalog of hit albums, each of them better and more successful than the last. By this time, they weren't just massive in the U.S., they were international superstars! Because of their strong Mormon faith, the band felt it necessary to focus their creativity on an album that celebrated the journey of life. They weaved in elements of their beliefs and The Plan was born. Unfortunately, their teen audiences weren't prepared for a concept album such as The Plan. Wrongly accused of being an album about Mormonism, The Plan is still a fine album but it finds the brothers stepping away from their crazy Rock shenanigans of '71 and '72. That's not to say that The Plan doesn't rock... because it does - but only in certain places. 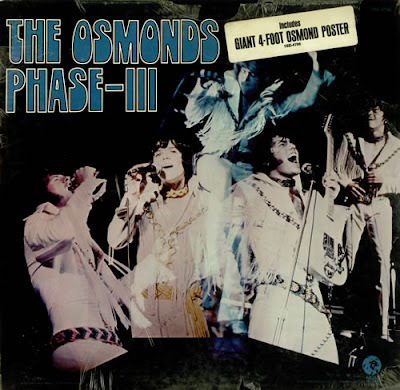 Obviously a labor of love, The Plan found the Osmonds giving back to the teachings that had kept them centered and focused during the good and bad times. 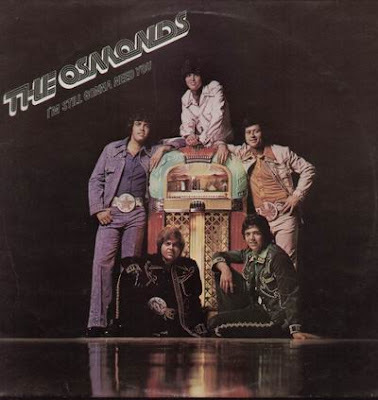 The boys' harmonies have never sounded better and, while the material may not be up to the standards of the last few albums, The Osmonds were forging a path of their own. The boys took a gamble that unfortunately did not pay off commercially and it was their first real 'flop'. The album does include some great tracks like "Let Me In", "Movie Man", "One Way Ticket To Anywhere" and others, but the focus was more on the message than the music. 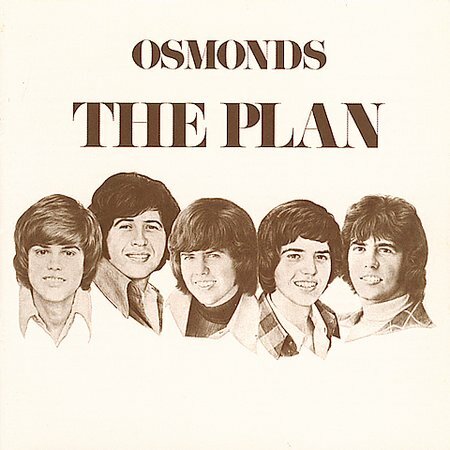 On The Plan, the Osmonds grew up, but their fans didn't. After The Plan, The Osmonds' musical focus began to change. 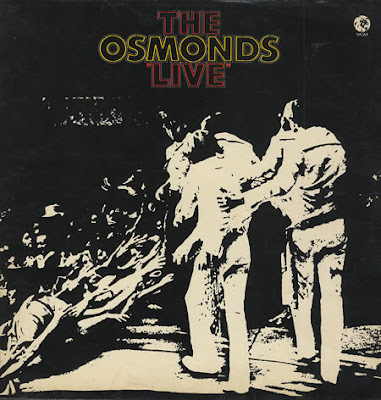 While the album cover may have promised a visit into Philly Soul territory, that was only a small part of where the boys were heading on this album. 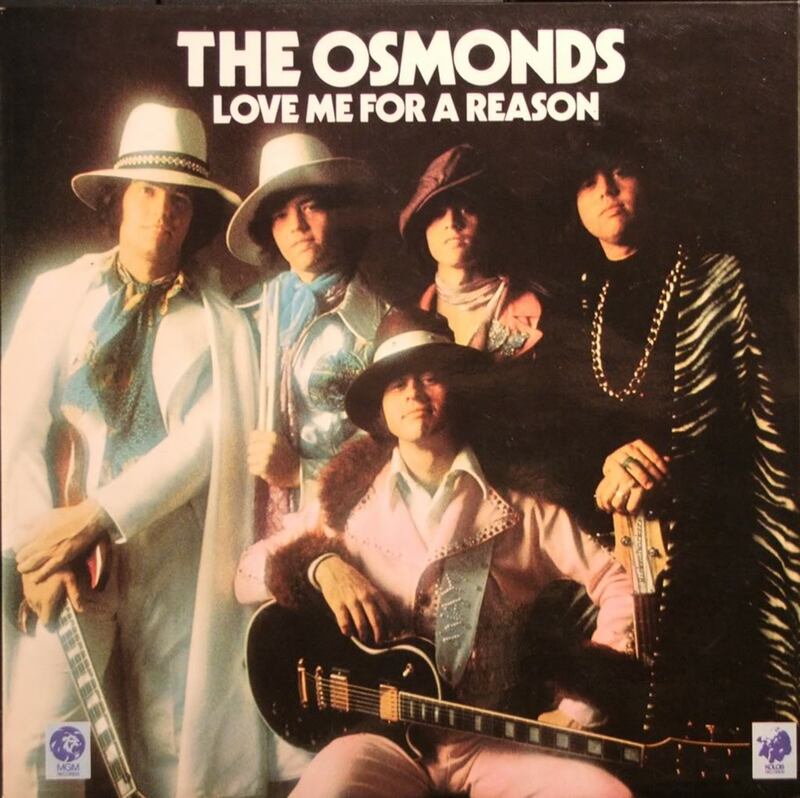 A return to form in many ways, the first half of Love Me For A Reason was more of a Rock album than the hit title track would lead you to believe. 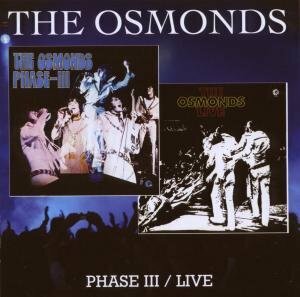 "We're Having A Party", "The Girl I Love", "Ballin' The Jack" and a few other tracks would not have sounded out of place on Phase III. The second half of the album focuses on their more soulful side. "Peace" is a funky Disco offering that still retains the brothers' Pop harmonies. "Fever", "I Can't Get Next To You" and "Sun Sun Sun" are credible Funk workouts that really capture the versatility of the band. The album is a real treat, although not as focused as their previous albums. With this album, they weren't sure which direction to follow so they just did what they wanted and split it pretty much down the middle. The high-point of the album is, of course, "Love Me For A Reason", their finest ballad to date. The harmonies on the chorus are heart-melting and the song is warm and lovely. If this song was the only thing The Osmonds ever recorded, they'd still be as fondly remembered as they are now. A stunner. Released as The Proud One in the U.S. and I'm Still Gonna Need You in the UK. While the Love Me For A Reason album only toyed with their Philly Soul influences, this is the album where it would come to the fore. Gone were all the Rock moves of their Phase III/Crazy Horses period, replaced here with a light Philly Soul sound mixed with a laid back Pop sound that focused on their vocals. It's definitely an Osmonds album, but far more mellow than before. But don't let that stop you from giving it a spin because it is quite a lovely piece of work. 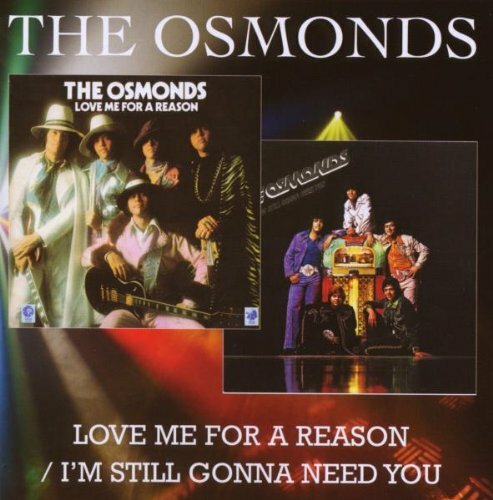 The songs are almost on par with "Love Me For A Reason", especially "I'm Still Gonna Need You" (one of my favorite Osmonds songs ever). But maybe that was the plan... since "Love Me... " had been such a big hit, why not go in that direction! And guess what? It works. There are no big hits here, but there are plenty of delicious Pop songs that will soothe your aching soul. They really sound focused on this album and their harmonies are top notch... but I think I already said that. In short, its a real beauty. Perhaps a Crazy Horses II would have been preferred, but there is really nothing to fault on this album. It deserves a big hug and a sloppy kiss. Awesome article and awesome comment by Tom Roach!!! I appreciate your time and dedication to the first family of music. I'm right there with you! So glad you posted this article. My sentiments exactly! You just don't hear harmonies like that anymore let alone the many other talents that go along with it. So what can be done to get them in the Rock and Roll Hall of Fame?!! How does the process work to get them nominated? They've accomplished way too much to not be recognized.